Hey guys, I hope you’re enjoying this series on how to build your own awesome Power Team. We’re continuing with Part 5 today. But first, in our last segment, we talked about making sure you have a good closing agent, and how that team member can make a big difference in how a closing is handled. Did you miss it? If so, make sure you check it out. In this installment, we’ll be talking about yet another important team member, and that’s your real estate attorney. We live in a litigious society to begin with – add to that the fact that different states have different laws when it comes to real estate matters, so your documents are all state-specific – and you can see why an experienced attorney is crucial. Protect your future business by making sure a real-estate attorney looks over all your documents. Looking for such an attorney will begin by talking with other investors in your area, or checking with members of your local REIA club. Also look in the advertisements in the club newsletter as some attorneys may place ads there. Once you have the names of two or three attorneys that you have under consideration then make a trip to your local court house. Ask the clerk to help you review cases in which your prospective attorneys have been involved. Did they win? Or did they lose? After all, it’s good to have someone who is a winner… at least part of the time. Take the time to interview each of your selections. Find out if they are familiar with creative real estate investing. This is going to be extremely important as you make your final decision. You must have an attorney who is attentive to your needs and willing to listen as you explain your method of investing. What percentage of your practice has to do with real estate? Their answer should be at least 30% to 50%. And their experience should be at least five years of real estate law in order to be acceptable to make it onto your power team. Are there other real estate investors who are your clients? If the answer is yes, the next question is for permission to call them as a reference. You want to hear what these other investors have to say. May I see your fees chart? It’s good to know up front how to budget for this expense. But the fees that are charged are not nearly as important as how well this attorney will work for you and with you. You want someone who will get the job done. It’s very important that your attorney understands the local foreclosure process, and then you’ll want him to teach that process to you. The attorney you choose should be able to present to you a standard contract package for an affordable price. Last but not least – and an area many investors don’t always consider – your attorney should be knowledgeable about asset protection. This will include setting up legal entities such as land trusts and personal property trusts. You need not know every detail about real estate law, but to be fully protected, you certainly need a good attorney who does. 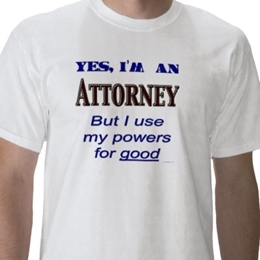 The best plan is to have this attorney on your team early on – before you need them. This way you’ll be confident that you’re using all the accurate, up-to-date, state-specific documents. 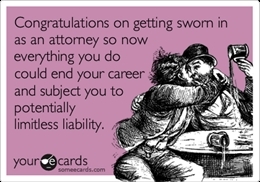 It’s not a fun experience to be caught up in any kind of lawsuit, but if it ever happens to you, it’s good to know your attorney has your back. Got something to add or ask? Hit me up in the comments section below. Keep it real, keep it classy.